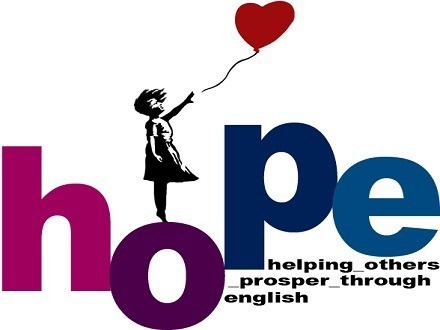 Ten years ago, expat volunteering organization Hope was set up to pair up English teachers willing to volunteer their time with orphanages and children’s centers that could benefit from their skills. At its height, Hope -- the name stands for Helping Others Prosper through English -- ran about 40 classes in Seoul and mostly nearby areas, and also ran clothing drives and other volunteering activities, receiving a citation from the Ministry of Education. But activities have slowed over the last two years and only a few classes remain. Now Hope co-founder John Baek is seeking to revive the group, starting in Seoul, with a new management team. Volunteers are asked to provide their locations and the times when they are available, then Hope matches them with the nearest center -- it could be a children’s center, an orphanage or welfare center -- and meets both sides to arrange a set of classes. “We get their resumes and we have a first meeting with them and first meeting with the center, we have our jobs to ensure the classes go for a long time,” said Baek, who is also looking for volunteers to help manage the organization. He said he is still contacted several times a week by people looking to volunteer, although only about 20 percent are ready to volunteer at the time. But he had been unable to properly help place volunteers until recently, as he spent more than two years abroad. Baek says his ultimate hope is to open a Hope school in an underprivileged neighborhood, something he believes is possible with corporate sponsorship, but first he has to concentrate on restoring the volunteer network. “If the new team starts to respond and give the right reaction to the willing partners it can expand pretty quickly,” he said. Volunteers can find out more by visiting alwayshope.or.kr/ or visiting the associated Facebook page.